Roof Installation and Roof Repair in Southlake, Grapevine, and Hurst is only a call away. If you are currently in the market for a Quality and Efficient Roof Replacement or Repair Company with Affordable and Competitive Prices in your Residential area, give Southlake Roof Repair a call. Whether it's because of North Texas Storms, animals, or simply age, your homes roof will eventually need replacing. Excluding severe weather, Replacement can be prolonged if your roof is routinely maintained. A properly maintained roof after storms can extend the life of your roof by years. Southlake Roof Repair understands the urgency of a damaged roof on your home. Your roof is what protects your family, and that is why we believe that Reliability Starts at the Top. - It's necessary to rely on your roof and your roofing company. If you suspect damage to your roof, do no hesitate to call immediately. Our team of Professional Contractors and Inspectors know what to look for to get right to work, taking the proper actions to ensure your roof is up to great standards. Southlake Roof Repair employs Dedicated and Skilled workers. 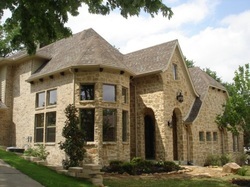 To us, a job is not complete until the customer is satisfied, and our Roofers are the best in DFW. So how do you know if you need a new roof? You can do a quick inspection of your own home to determine if you should call an Experienced Roof Inspector. Always pay attention to things such as damaged flashing, missing shingles, blistering, or rotting that may be happening on the house.